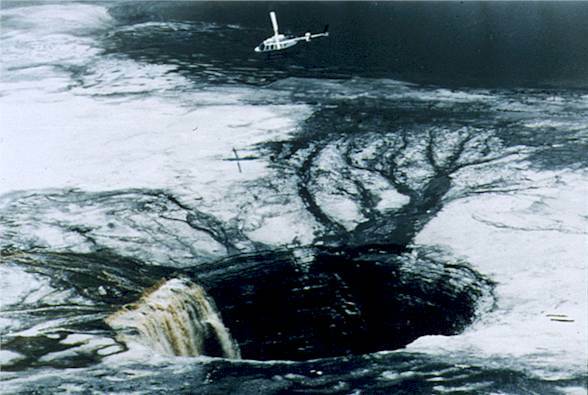 "In Florida, the impact of phosphate mining by companies including IMC-Agrico (a joint venture between Freeport-McMoRan Resource Partners and IMC Global which has recently been spun off into a separate company) have been devastating....One of the worst mining disasters in the state ocurred in June 1994 when a 15-story sinkhole opened at the IMC-Agrico New Wales plant which was estimated to dump between four to six million cubic feet of toxic waste into the Florida aquifer which supplies 90 percent of the state's drinking water. This waste included 17 heavy metals and toxic substances including arsenic, cadmium, chromium, lead, and mercury....Studies by [PBS&J] for the FL institute for Phosphate Research indicate that radioactivity concentrations measured in foods grown on mined phosphate lands were found to be statistically higher than foods grown on other lands. Other studies in 27 FL counties have shown that cancer rates in phosphate mining areas are three times higher than those in unmined areas...."
Jef's been telling me about these guys for a couple of years. They have a storied history in Austin.